Even if there is a large variety of international restaurants in Munich you can still find traditional Bavarian ones, too. If you don’t want to go to the most touristic one, the “Hofbrauhaus”, try the “Weisse Brauhaus” which is not far from Marienplatz. There you will find a lot of dark wood furniture, Bavarian beer and traditional dishes. 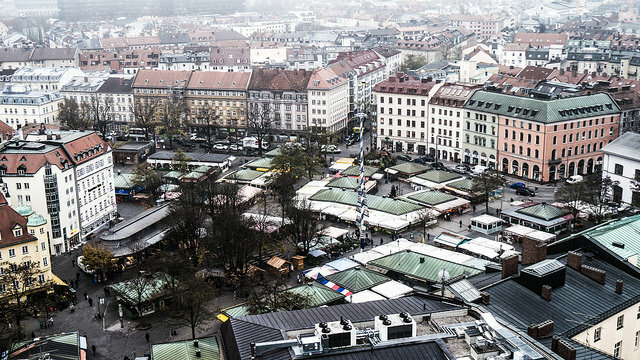 The Viktualienmarkt in Munich is more than 200 years old and has already survived several threats during the past – one time he should be closed because of plans for houses and a second time there was supposed to be built a city highway. But both of the times the population saved that beautiful market. At its 140 booths you can find everything needed to cook – spices, fruits, vegetables, cheese, bread and new inspiring creations. Almost everyone knows Munich for one special festival – the Oktoberfest in september/october. With more than 6 million visitors every year it’s one of the most famous traditional festivals all over the world. But apart from the Oktoberfest you will find more than enough other events to drink beer, watch “Dirndl” and “Lederhose” (the traditional clothes) and discover what Bavarian lifestyle is. 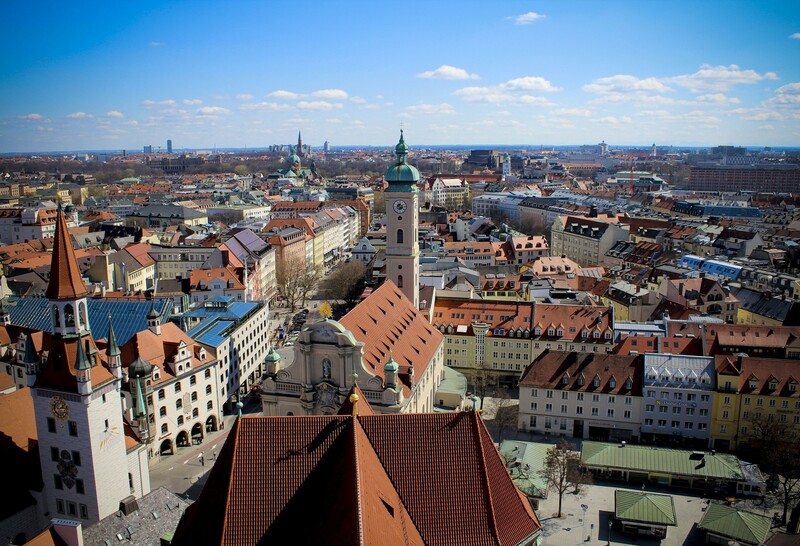 Munich is a very compact city, at 310 square kilometres you will find 1,3 million people. But anyway, Munich is a very green city with lots of parks and beer gardens. 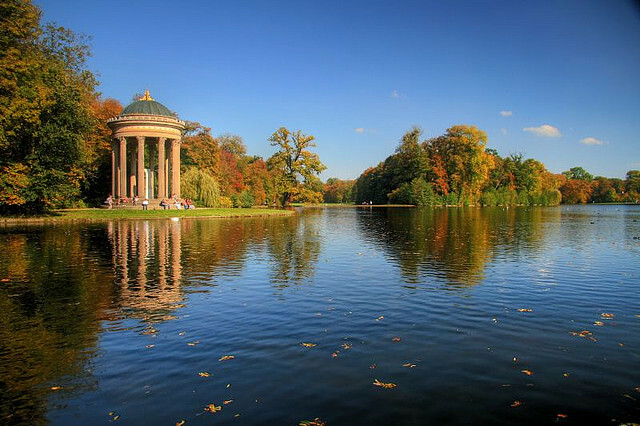 The most famous park is the English Garden, a park larger than the Central Park in New York, starting right in the city centre and going about 10 km to the north of Munich. But there’s also the river Isar with cristal clear water and a wonderful nature around. Of course, there are much more possibilities to discover the Bavarian lifestyle, so just book your trip and see it yourself – you will enjoy it!